With the launch slated to happen before April 2019, Tata is busy testing one of its biggest products till date, the Harrier SUV. Based on the H5X concept, Tata Motors recently announced the name of the production model and released a few official sketches. 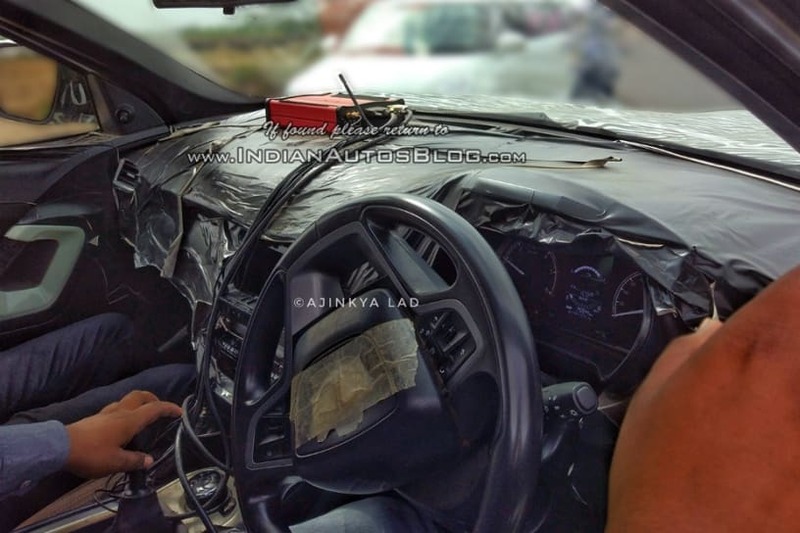 And now, the interior of the upcoming Tata SUV has been spied while testing. As expected, the larger Mercedes-Benz-like standalone instrument+infotainment screen of the H5X Concept has made way for a conventional setup in the Harrier. 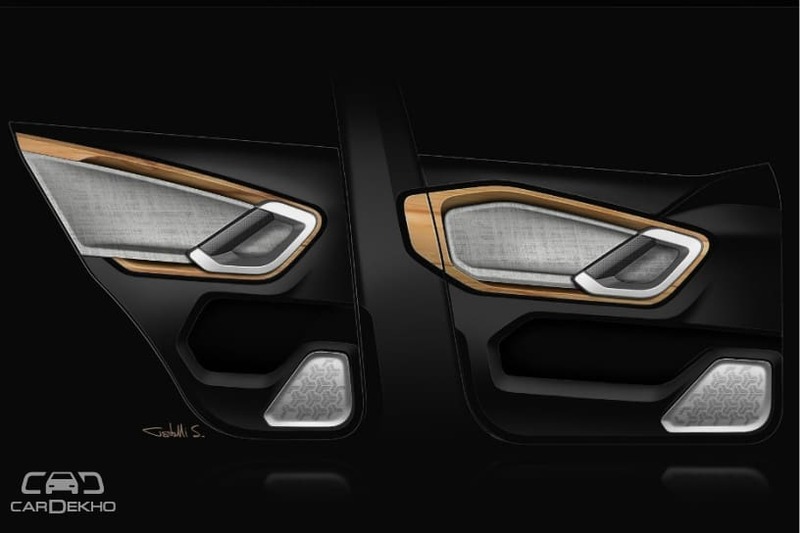 However, the basic layout of the dashboard is identical to the concept, like the Jaguar-inspired top panel that runs from the dash to the doors. Speaking of the doors, they get pop-out metallic finish grab handles and like the dash, the overall design is pretty close to that of the H5X as well. Even the placement and design of the front AC vents on the corners of the dashboard are also similar to that of the concept’s. It is apparent that the spotted test mule is not the top variant as the outside rearview mirrors can only be adjusted manually. We expect Tata to offer electrically adjustable and foldable ORVMs on higher variants. The instrument cluster features a large dot matrix display, which is flanked by twin dials. Higher models should offer a colour TFT display like the Hexa. The steering is an evolution over the current one offered across Tata’s entire lineup. It also has cruise control switches, which hint that it would either be a standard feature or will be available from a lower-spec variant. We expect Tata to offer touchscreen infotainment as standard on the Harrier, although the vehicle that’s been spied doesn’t get one. Tata has the Nexon’s 6.5-inch display that could be offered on lower variants with the more expensive ones getting a bigger unit. An 8-speaker Harman-sourced music system might be standard as we can spot something like a front tweeter in the A-pillar in the pictures. The range-topping versions of the Harrier, on the other hand, could get Harman’s JBL range of speakers, like the Hexa. The centre AC vents might be placed below the infotainment display, like we’ve seen on the Nexon. Both of these are missing from the test mule spotted. 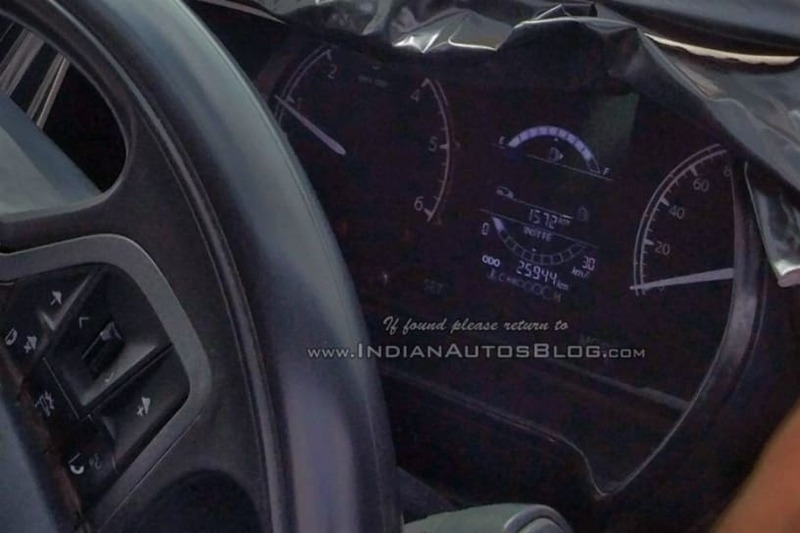 The Harrier will also get a Hexa-like drive mode selector knob, which might be offered as standard.